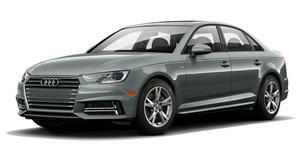 The A4 segment also includes the likes of the BMW 3 Series and Mercedes-Benz C-Class. But clearly what’s relevant here is that a top Audi executive has confirmed a Tesla Model 3 fighter, expected to debut in 2023. Lichte also confirmed this so far unnamed EV sedan will ride on the PPE architecture developed solely for electric vehicles. It will also underpin the e-tron GT. Think of this A4-sized EV as sort of a shrunken, less expensive e-tron GT. 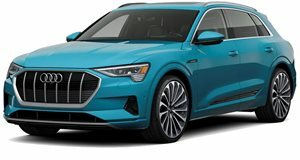 But unlike the Model 3, which shares a platform and other basic underpinnings with the just revealed Model Y crossover, the A4-sized EV will not share the Q4 e-tron’s platform. That upcoming EV crossover will utilize VW Group’s MEB architecture, which will also serve as the basis for VW’s upcoming I.D.-branded EVs. 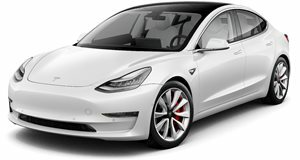 While the Q4 e-tron is expected to be a major volume seller, sales expectations for its upcoming Model 3 fighter are unclear. Assuming crossovers continue to outsell sedans, the Q4 e-tron will probably bring in more bank. But don’t discount the smaller e-tron GT entirely. Just look at the Model 3’s popularity. 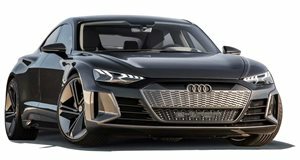 Assuming Lichte and his design team are able to retain a majority of the e-tron GT’s aggressive styling in a smaller package, Audi will surely have a hit on its hands – and Tesla will have no choice but to respond. Thing is, this Audi EV sedan is still four years away. That’s a long time in this industry. Not only will Tesla continue upgrading the Model 3, but it’ll also further standardize production to meet high demand. Tesla will have this segment all to itself until 2023.